For the last couple of weeks, I’ve been using this script (h/t Mark) to accomplish something that I’ve wanted to do for quite a while: easily edit corner radiuses in Photoshop. Judging from the teaser preview of CS7, it appears that this type of funtionality will be included in the newest version, but in the meantime, this is a great add-on and will continue to be very useful for versions of Photoshop earlier than CS7. I’d recommend triggering the script with a shortcut key (I’ve got mine set to CMD + SHIFT + R). Here are some quick examples of ways to use this script. I’m sure you’ll come up with many new ones on your own that fit your workflow. Designing tabs → easily make your tab with certain corners at 90º. Change Multiple Shape Layers at once → you might select all your layers named “Button” and try out a different corner radius. Check the current radius → if you’re a FED or if you're working with someone else's designs, you can check containers, buttons, and other elements to see what their current corner radius is. Icon Creation → when working with an icon, you can modify the curve on the fly and try out variations without having to redraw the shape. Correct your busted corner radiuses → if you change the dimensions of a rounded rectangle using the numbers at the top or with a simple Transform, the corner radiuses get stretched. 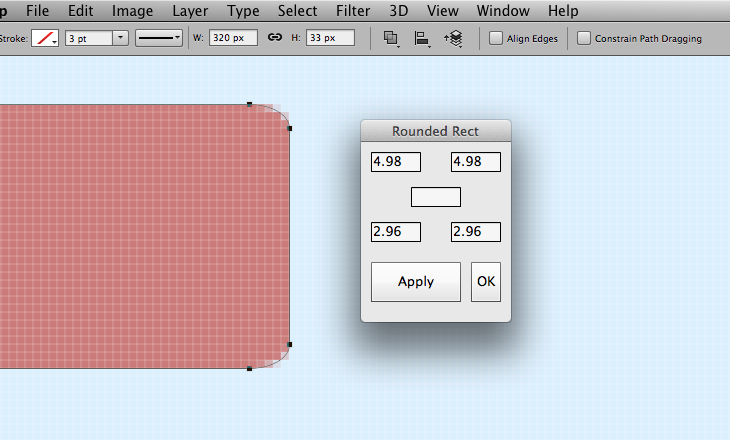 Now you don’t have to worry about it and can quickly get your perfect rounded corners back. I’ve just been using this radius resizer script but the same developer has come out with a new script that includes the ability to change the corner radius and also a number of other things. I haven’t used it much yet but plan to spend some time checking it out. 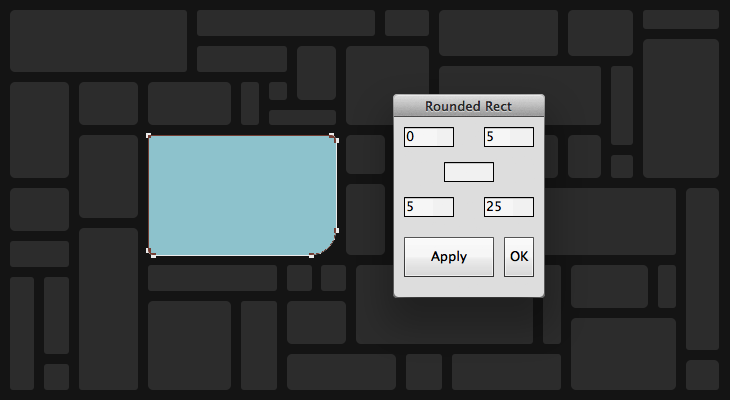 In the meantime, happy corner radius tweaking.